Delush Polish Girl of Many Faces is a lovely glitter-filled chocolatey brown jelly. 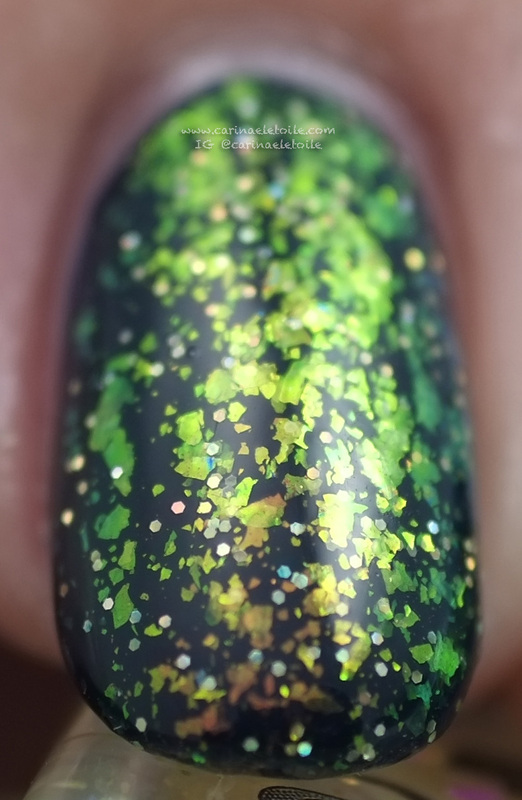 Delush Polish Garden of Thorns is a gorgeous green glitter polish. 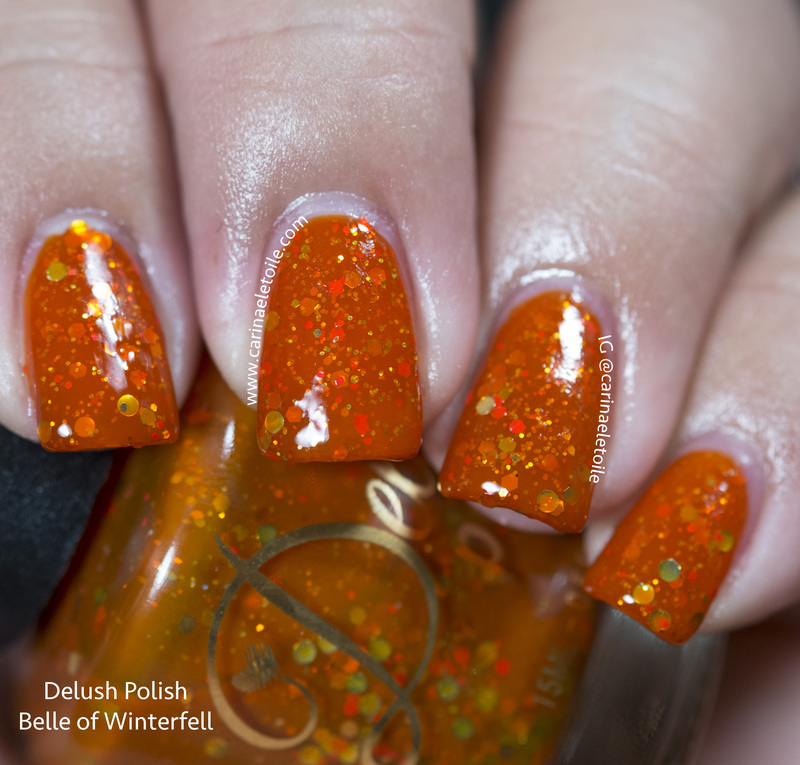 Delush Polish Belle of Winterfell is a gorgeous burnt orange glitter. Delush Polish Queen of No Mercy is a gorgeous crelly that can be viewed as purple or a blue-purple, aka blurple! Pretty and Polished October 2015 Beauty Box was chock full of pretty things! I’m focusing on the nail polish, though. There were THREE full-sized babies in it. Colors by Llarowe Face of Boe is part of the Doctor Who inspired collection. Colors by Llarowe Connie’s Saucy Brother was a limited edition run. 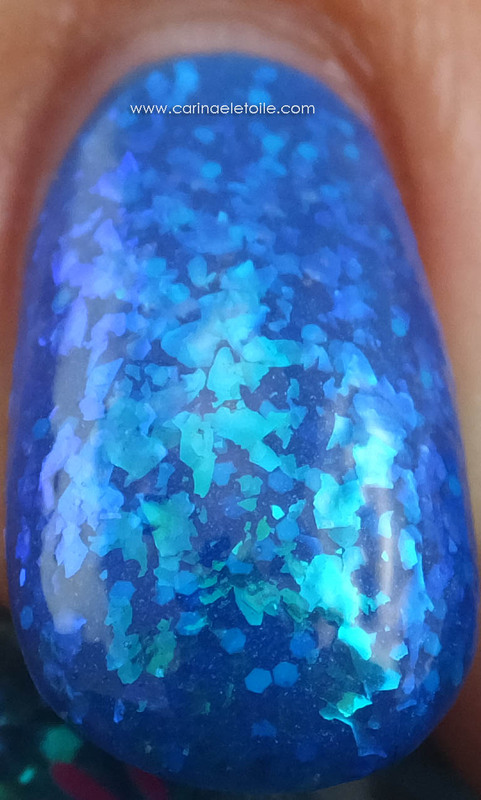 Colors by Llarowe River is this gorgeous, gorgeous flaky blue polish.